Lime scooters are continuing to pop up all over the place – not only are they in bustling downtown areas, but they have also made their way to residential suburban neighborhoods that are far away from the epicenters of big cities. With the uptick of scooters also comes the rise in accidents. Many individuals have been hurt because of scooter crashes and have tied to pursue compensation from numerous parties. You may not always be able to sue, however, and it is crucial that you understand the circumstances in which you can take legal action against Lime for any injuries you suffered. Our law firm, Kenmore Law Group, can give you more details on Lime scooter injury insurance information. Lime initially provided bicycles that could be rented for a small fee, but has since expanded to providing electric scooters. These scooters can be located with the use of an app, unlocked for $1, be used for 15 cents a minute after, and can be left at the destination. The scooters can travel up to 15 mph and have a range of over 20 miles on a full charge. To find a Lime scooter, a user can simply view the app to locate nearby available scooters. Those who use motorized scooters must adhere to specific laws. For example, all riders must have helmets on at all times or face heavy fines. Lime requires that users be 18 to ride (or 16 with the permission and express liability agreement of a guardian) and have a valid driver’s license or permit. There can be no more than one person a scooter at a time and the users must keep control of the scooter, not be overburdened by bags or luggage. It is necessary that those riding scooters adhere to traffic rules and regulations. If there is a bike lane available, the scooter rider must stay in it, or else stay on the street without impeding traffic. They must not ride on the sidewalk, as this poses a danger to pedestrians. Riders must follow stop signs, right of way laws, stop lights, and more. Once the ride has been concluded, the scooter must be left in a legal parking space or placed upright on the sidewalk where it is out of the way of pedestrians. Too often, scooters are left on their sides in the middle of the sidewalk where anyone can trip and fall, or else they are located somewhere equally as dangerous. There are many ways that accidents can happen when it comes to Lime scooters. Some individuals may leave the scooters lying on the sidewalk, which can cause passersby to trip and fall hurting themselves in the process. This can also prove problematic for those who have disabilities or need assistance to get around. Other individuals are involved in motor vehicle accidents. A car can easily come out of nowhere, not see the scooter, and sideswipe the rider. A person can be riding along and enter a crosswalk when a car negligently turns and hits the rider – and this is more common due to the speed of the scooters; it is easier for a driver to see a slow-moving pedestrian, but if a scooter suddenly zooms into the crosswalk, stopping may be extremely difficult. Furthermore, scooters may simply have defects that cause crashes. Scooters can have electronics issues, defective batteries, malfunctioning wheels, and many more troubles that riders must be aware of. In the event of a crash because of a defect, Lime scooter insurance for people who suffer injuries is available. Some of the common injuries that are suffered in electric scooter accidents include broken ones, concussions, closed head injuries, traumatic brain injuries, nerve damage, crushing injuries, abrasions and gashes, neck and spinal cord injuries, paralysis, and more. For more insurance information for Lime scooter accidents, call our law firm in Los Angeles. An accident involving a Lime scooter can be very frustrating, as you may not know what to do or who to call. You should treat the accident like you would any other and focus on the main things – your health and acquiring evidence. It will be necessary so you can collect Lime scooter accident insurance from the company. Your health is the most important factor in the accident. You should get treatment as quickly as you can to ensure you don’t suffer long term damage. Also, you may not feel that you were hurt in some instances, but it is still important that you get treated anyway; some injuries may not show up until days later. If you wait too long, you will find that Lime will try and say that you were injured elsewhere. You should take photographs of your injuries as well. Any damages should be shown to have occurred in the crash. The receipt of the ride should be screenshotted from your phone. You can then send an accident report to Lime. If you can take the scooter home with you for evidence, do so, otherwise you will need to take photos of it to show damages. For any accident involving a motor vehicle, you should call the police. They will come and investigate the crash and issue any tickets or citations, as well as have a police report that will be available to you for evidence. Lastly, call a lawyer who can help you handle your Lime scooter accident lawsuit. An attorney will be able to compile your evidence and send a claim to the company requesting compensation. You will be able to get more Lime scooter insurance information from a reliable lawyer. Does Lime offer insurance for injuries? Yes, Lime offers insurance for injuries but only if the injuries were deemed to be Lime’s fault in some way. This is written into the rental agreement; if a user is negligent and does not wear a helmet, or if he carelessly or recklessly operates the scooter and gets hurt, Lime is not responsible for the damages. Does Lime offer any medical insurance for accidents that cause injuries? Yes, Lime offers medical insurance for accidents that cause injuries but only if the company could be held responsible. For example, Lime could cover your injuries if a defective scooter contributed to the accident and your injuries. Does Lime offer insurance for injuries that someone suffers because of their scooter? Yes, Lime offers insurance for injuries that someone suffers because of their scooter. Lime must be at fault for providing a defective scooter, however; if you broke the scooter or tampered with it, you would likely not be able to take any action and the company would not be held liable. Your claim’s value will be determined by a representative at Lime who will look at your injuries and determine how impactful they were. If you have ample evidence to show that you were hurt in a Lime scooter accident, you could receive compensation. Which company insures Lime scooters? Lime is a self-insured company. It does not have something like James River Insurance backing it and covering claims. It has its own claims department that handles injuries. Who is the insurance company for Lime? Lime functions as its own insurance company; it has a claims department that evaluates all accident reports, reviews the injuries and situations, and makes decisions based on the evidence provided. There is no company for insurance that covers Lime scooter accident lawsuits. Our lawyers in Los Angeles can help you earn the maximum compensation for your damages resulting from a Lime scooter accident injury. You could potentially receive coverage for your medical bills, pain and suffering, property damage, lost wages, and more. A personal injury claim or product liability lawsuit can allow you to be fully covered in the event of a crash. If you have been injured in a Lime scooter accident, you could potentially take legal action against the company. The deadline to file a claim is 2 years from the date of the injury. This statute of limitations exists so that claims are handled swiftly and do not clutter the legal system. It helps evidence stay relevant and not get lost, damaged, or forgotten, and it is an appropriate amount of time for expenses to be paid off. If you suffered minor injuries and pursued a claim 10 years later, there would likely be no outstanding medical bills. However, this 2-year limit is not a requirement all of the time. In some instances, you can have the deadline extended. For example, if you were underage at the time of the crash, you could have the statute begin counting down once you turned 18 years old. Moreover, if you were so severely injured that you could not file a claim, the deadline would not start until you returned to functioning health. Our law group, Kenmore Law Group, has handled numerous Lime scooter accident lawsuits since the company debuted. Our lawyers are experienced and have extensively studied the scooters, the lawsuits that have accompanied them, Lime’s user agreement and much more. We are an aggressive team of attorneys who will not stop fighting for your compensation, no matter what. Call us today to set up a free legal consultation with an experienced lawyer. You can ask us any questions you wish about the case and we’ll answer you. We’ll also look over your claim and tell you what we believe it’ worth. 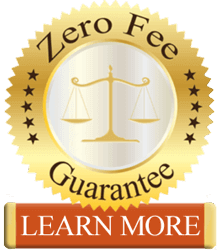 If you hire us to represent you, we’ll give you our zero fee guarantee, which states that you won’t have to pay any out of pocket expenses for our services. You’ll simply have to provide us with the evidence we need and we will compile it and send it off. If we win your case, our fees will be covered by taking a portion of the settlement we bring you, so Lime covers your legal bills in addition to other damages. If we lose, though, you won’t have to pay us anything at all and we will eat the losses that accrued during the case. If you need more Lime scooter insurance info for accident, reach out to our law firm today.